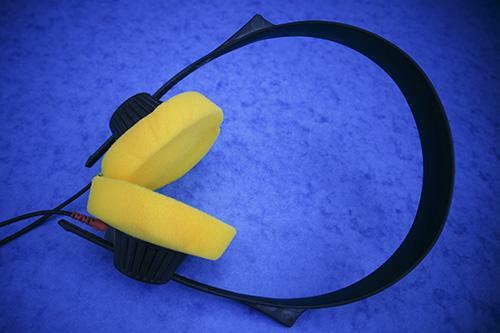 The TNT-Audio Quick Guide to Headphones! Many people under forty first experienced high fidelity sound when they threw away their iPod earbuds and connected with a pair of decent headphones. Headphones have been the great commercial success story of hi-fi over the last couple of years – dwarfing the resurgence of vinyl and leading a new generation of listeners to quality sound. So this short guide is designed to introduce potential purchasers to the different types of headphones that are available and some of the vocabulary of the headphone world. We also talk a little bit about headphone amplifiers and related accessories. Broadly speaking there are two major families of headphones. Little ones that go in your ears and bigger ones that go on or outside them. Each family has several members. In ear headphones come in two types. There's the regular earbud ones that hook into or sit in the outer ear and there's the inner ear monitor (or IEM) that fits directly into the ear canal. IEMs isolate the listener from outside sounds, which is usually a good thing but many people find them uncomfortable. Ear buds are usually cheaper and come with a variety of headbands and ear clips to hold the drivers in place. Personally I find bud type headphones move around too much and make it difficult to get a good and consistent sound. Moving up in size, the next style of headphone is the supra-aural on-ear type (such as the classic Sennheisers in the picture above). These are larger conventional padded headphones that sit on the ear, held in place with a headband. These can be a good choice for all round use as they can have much of the immersive sound quality of bigger phones whilst still being quite portable. Finally (leaving aside a few relative oddities), there is the largest type – the circumaural – that is designed with a pad that fits around, rather than on, the ear. The choice here will generally be made on the basis of comfort and sound quality. Both types can sound great but as a rule circumaural are more comfortable for longer listening sessions and offer better isolation. The typical big home hi-fi headphones, (such as the AKG's in the picture below) are circumaural designs. Most people, when they put their headphones on, want their music to be the only thing they hear. And most people near them don't want to hear the tizzy ring of sound leaking from their neighbours cans. These considerations introduce two more distinctions: closed versus open backed headphones and noise cancelling versus noise reducing designs. Most headphones are of the open backed type. A headphone driver works like a loudspeaker and when it vibrates it sends as much energy out of the back as it does the front. As a result they leak sound. Nevertheless, they do offer the most natural audio and still allow some awareness of the outside world to the listener which can be useful sometimes. Most of the conventional Sennheiser and Grado models, for example, are open backed. Closed back headphones are designed to minimise sound leakage. They have a hard casing around the back of driver that directs and keeps the sound in (and provides some isolation too). Incidentally, you can get closed back buds as well as regular types. This casing makes them more difficult to design as it can colour the sound but the better models are amongst the best in their price range. Headphones made for recording studio use are often closed back to minimise leakage of headphone monitor mixes back into microphones. They are also a considerate choice for travellers as they reduce ambient noise and don't annoy fellow travellers. 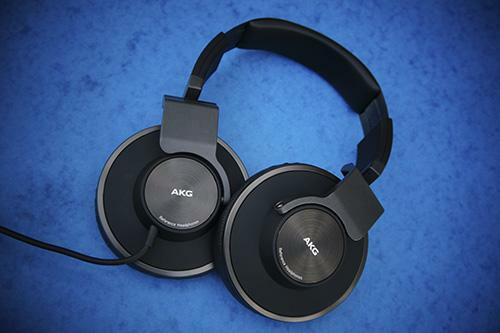 AKG is a manufacturer that does well with closed back headphones in both portable and full sized models. Reducing the effect of ambient noise is important for many headphone listeners. This can be done in two ways: cancelling out the incoming sound or blocking it. Most of the major manufacturers make noise cancelling designs. These work by monitoring ambient noise, generating an audio signal that is out of phase with it and mixing this with the music. Since two sounds that are completely out of phase cancel each other out, then the ambient noise magically disappears. In practice this works pretty well with constant sounds at low and middle frequencies (such as airplane engine noise) but less well with random noises (such as people in the next seat chatting). It can affect the sound slightly (I have Sennheisers that hiss slightly when the noise cancelling is engaged, although this is not audible when music is playing) and needs a battery but is great for watching movies on long flights. One thing to be cautious of is terminology in this area. Some manufacturers use the term “noise reducing”. This simply means there is some attenuation of ambient noise. It is simpler (and cheaper) to just block incoming sound and the "noise reducing" term usually refers to this. It is not necessarily problematic as closed back designs offer some reduction of ambient noise and in earmonitors can be pretty much as effective as noise cancelling designs. But they are not the same thing as "noise cancelling" which refers sepcifically to the phase cancellation technology described above. Some people spend a lot of time in their headphones and this can make apparently small things quite important. The way headphones are wired for example can affect comfort and longevity. Cable length is important. You don't want to be restricted by a cable that's too short or falling over (or winding) one that's too long. Generally it's better to get headphones with a removable cable as the weakest point in the whole unit tends to be the jack plug - and it's easier to replace this by plugging in a new cable than it is to solder on a new plug. Most headphonescome with the wire attached to one side only which is generally more comfortable. Some come with an inline volume control and sometimes a microphone for use with a mobile phone. Although these extra facilities are generally not targeted at hi-fi users some are, such as on the recent models from Focal. Headband design and earpad material are critical to comfort and affect the sound. A good fit is essential to delivering the best sound the phones are capable of. A seal of some sort (in or around the ear) is often required to optimise bass performance. And differences in head shape and size can often account for different reviews of the subjective performance of the same pair of cans. Leather, faux or real, can feel best initially but often gets hot after prolonged use. So it's worth thinking about how long your listening sessions will be. Headbands should be light and readily adjustable to fit your head. Personally, for longer sessions, I like cans with a suspension strap beneath the headband itself which keeps the metal band off the head. You may also need to think about whether the headband will fold for transport and storage and whether a case is provided for portables. Most headphones can be driven to high listening levels easily by a portable music player but there are exceptions. The key specification in this regard is the impedance. A high impedance headphone (typically > 100 ohms) won't play as loudly as a lower impedance model (usually 16-32 ohms) although there may be other sonic advantages. If using a pair of high impedance cans it may be necessary or desirable to add a headphone amplifier to get more level and headroom. Whilst on the subject of specifications, it's worth noting that headphone specifications are notoriously unreliable as a guide to performance and you can probably ignore most of them, apart from the impedance. This is because matters such as how well the headphones fit and the shape of the listeners head and ears will have a dramatic impact on the subjective experience of frequency extension and accuracy. With one exception, the only other circumstance where a headphone amplifier is essential (kind of obviously) is where a hi-fi doesn't have a headphone output. Otherwise a headphone amp, to my mind, is a bit of a luxury – albeit one that can improve on the built in amp of most devices. So, for example, something like a Musical Fidelity “X-Cans” headphone amp will improve on the output of most amplifiers because the headphone stages on integrated amps are typically driven by op-amps which don't sound as good as a well-designed class-A valve amplifier. But I'd say, as a rule of thumb, don't spend more on a headphone amp than you have on the headphones they're to drive unless you're addressing a specific deficiency. The one exception to the above is “electrostatic” headphones which use an electrostatic driver rather than the dynamic type used in most cans. The manufacturer Stax specialises in these. They require dedicated electronics and have a reputation of offering the most precise and detailed sound available. Like electrostatic speakers however they are found by some to lack bass weight. After market cables are available for the more common high end models. Whether they make much difference to the sound relative to their cost is a not a discussion I'd want to enter into, least of all on TNT-Audio as we try and avoid talking about cables. One tweak which does make a difference, is the replacement earphone tips for in ear monitors from the firm "Comply". These are made of a softer foam compound than the usual silicone so can increase isolation and affect the audio. They are a little pricy considering they're just little foam things but I have found they work. Other than that, there are few, if any commercial tweaks for headphones. While I was writing this article I was sent some small passive devices by “MadScientist Audio” which, when stuck onto headphones were supposed to improve the soundstage but, to be honest, I didn't find that they affected the sound at all. But he does offer free samples of his products so you may want to try them for yourself. There is some DIY tweaking amongst the more committed headphone users, often involving adjustments to – or replacement of- the padding and the headband. So, there is some scope for fiddling about but it's probably best to settle for a decent pair of cans and listen to them. It is very easy to damage your hearing so take care with volume, especially when changing sources or making adjustments. It's also easy to get run over because you don't hear a car coming. So think carefully about where you use the more isolating designs! Better headphones will sound better than poor ones even with MP3s but to get the best from any cans you need to start with good quality source material. So if you're interested in sound quality it is important to use original CD or vinyl sources or uncompressed or lossless compression for your music files. The extra detail in high bit rate recordings can often be appreciated more easily through headphones and there are special recordings using binaural technology that can only be appreciated by listening that way. Headphones have become a fashion accessory as well as an audio component. It's worth bearing this in mind when assessing them. This has resulted in a market where here is no necessary correlation between the price of pair and the audio quality. Be wary of glitzy designs and pronounced bass sounds unless those are really your thing. One good consequence of headphones becoming fashionable though is that there are now displays in major retailers where it's possible to try various models. This is well worthwhile if you can find a store with a selection that includes established brands (such as those I've mentioned in this article) as well as fashionable ones.